Main compartment with double net pocket for accessories. Label for name and contact details inside. Additional zip pocket on the front. Luminous print and other features. 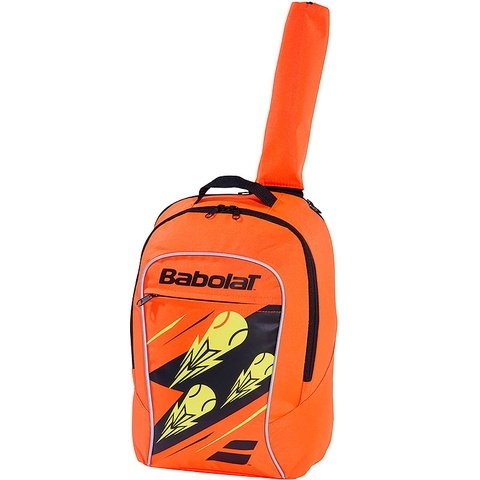 Racket pocket with extendable handle protection. Reinforced straps and back for added comfort. Grab handle on the top for easier carrying. Dimensions L10 in. x W6 in. x H14 in.